CALLAHAN, Fla. -- Deerfield Lakes Golf Club is a working man's course. It's not fancy, it's not expensive, but it challenges golfers of all abilities. 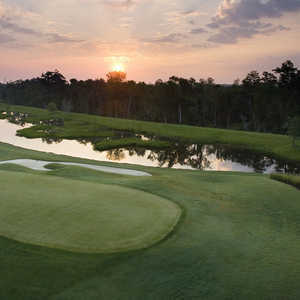 Deerfield Lakes Golf Club is an affordable, friendly option just north of Jacksonville. 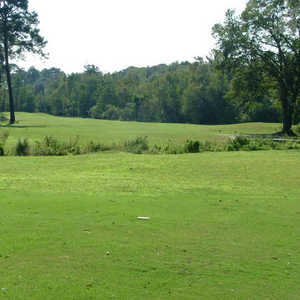 The golf course, which opened in 1968, is out in the country north of Jacksonville on a flat track lined with trees. There are no developments around it -- no houses -- just a lot of wildlife. It's peaceful. 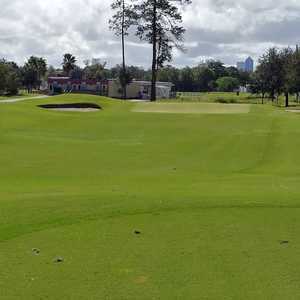 Deerfield Lakes doesn't book tee times through the week, so if you decide on a whim you want to play, head over and you'll tee off on a first-come, first-served basis, Head Professional Nate Carter said. Avoid Thursday afternoons, though. The men's club draws about 60 members each week. The pro shop staff will tell you that over the phone to save you a trip. "Everybody is friendly out here," golfer Bill Hurst said. "It's just a country course." It's also inexpensive, just north of $20 for 18 holes and a cart on weekday afternoons. Beer is $2 and coffee is 75 cents. This place won't break the bank. On the walker friendly course, you'll encounter an impressive variety of holes and nearly flawless greens that roll smooth and true. From the 6,030-yard white tees, you'll face par 4s from 314 yards to 409 yards and water where you'd never expect it, hiding in tiny ditches shielded by mounds or in a pond behind some trees. Assume water is nearby because it shows up on 16 of 18 holes. "It can be one of the easiest courses -- if you stay out of the water," Coy Centerfitt said. "If you're hitting it well, the water isn't a problem. If you're spraying it, it's a problem." Greens vary in size from massive to target. Some are sloped and some are crowned, but all are in great shape. The course relies primarily on that infernal water, length on some holes and trees young and old to keep things interesting. Most holes are essentially straight -- No. 10 is the only sharp dogleg. There isn't a lot of sand on the golf course, with small, ragged bunkers showing up on about half the holes. On the par-4 ninth hole there are tag-team hazards. A single tree blocks an approach from the left and a bunker guards the right front of the green. Bill Hurst, an 18-handicap golfer, likes the par-5 11th hole because he can sometimes reach it in two. It plays 465 from the whites. Beware, though. A bunker lurks behind the green if you're overambitious. Wind could come into play for Deerfield Lakes Golf Club's final three holes, which are out in the open. That means you can be blown into water on either side of the par-4 16th, or the par-3 17th might play longer than the 157 yards on the card from the white tees. Who knows what might happen on the 18th hole, a dogleg left with water in the inside corner and trees close to the landing area on the right? You'll need one last gasp of accuracy to keep it in the fairway. "It's great for a weekend golfer," Hurst said. "It's very forgiving." If you stay out of the water, that is.